New cheap route: from Prague to Bordeaux for only €40! French low cost airline Volotea launched brand new route between Czech Republic and France. Return flights from Prague to Bordeaux and vice versa are now available for only €40! This is amazing price for return ticket! 10 kg cabin luggage is included in the price as well as one other smaller bag up to 35 cm. There are two flights per week on Mondays and Fridays perfect for extended weekend trip. Travel dates are from 17th April until 4th August 2015, there are just few dates left for €17.99 per one way flight. Volotea also offers discount club Super Volotea similar to WizzAir’s Wizz Discount Club: you get €10 discount per flight for you and your friends for €40 per year. Book directly at Volotea for the lowest price. 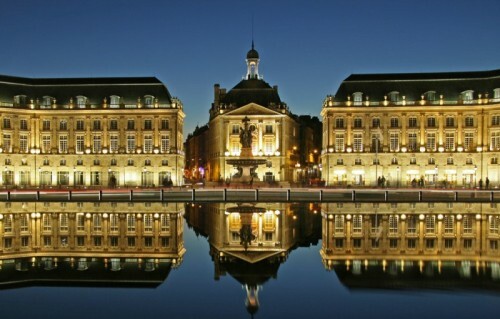 Bordeaux offers plenty of accommodation for moderate prices. There are options for both luxurious and budget hotels from just 20€ per night. Bordeaux is close to many other interesting cities and places so renting a car to explore the surrounding is a good idea. « Cheap flights to Portugal: Porto from Berlin for only €49!